LOST VOYAGE is set in the month of April. In it Marvik faces a desperate battle to save others from a ruthless assassin who will stop at nothing in order to protect the secret of the Mary Jo’s last voyage from ever being exposed. A KILLING COAST "A surprising conclusion and a satisfying read." An investigation into a body found floating in the sea off Portsmouth harbour throws DI Andy Horton's capabilities into question. Not only does he need to find a brutal killer, but he also has to prove he's still up to the job. When a body is found floating in the sea off Portsmouth harbour, Detective Inspector Horton initially judges it to be an accidental death. Soon though, to his dismay, he discovers he’s got it very wrong. Accused of being incompetent by his boss, and with the head of the Major Crime Team coming down heavily on him, Horton wonders if he’s allowed his ongoing investigation into the disappearance of his mother over thirty years ago to cloud his judgement. With no clear motive for the murder, Horton is sucked into a baffling investigation that he is determined to resolve despite the odds. Not only does he need to find a brutal killer, but Horton now has to prove to himself, and others, that he is still up to the job. A woman framed for murder, a salvage tug which went missing in 2003, Marvik is called in to investigate. DEATH LIES BENEATH, a DI Andy Horton crime novel, "A fast paced excellent mystery." 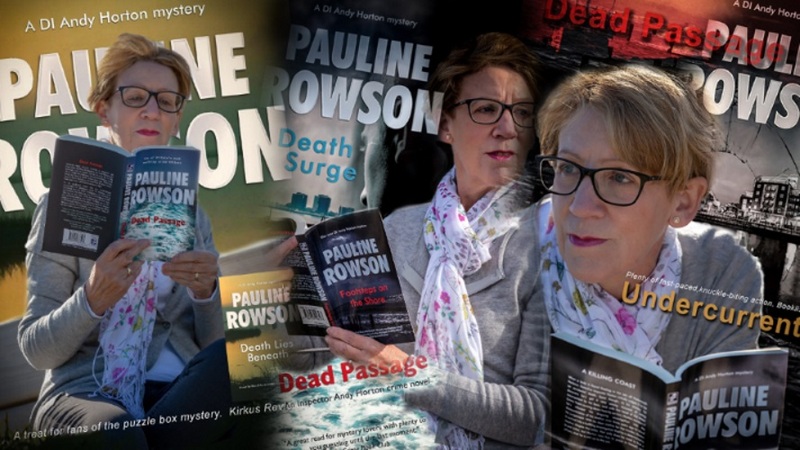 "A fast paced excellent mystery, with an interesting diverse set of characters, and an intriguing hook at the end that has me eagerly awaiting the next instalment in this series.Highly recommended." Secret doors, hidden rooms and ten ghosts – is this my new setting for a crime novel? Is this the next setting for a DI Andy Horton crime novel? Or perhaps a totally new one. Contemporary or historical crime? 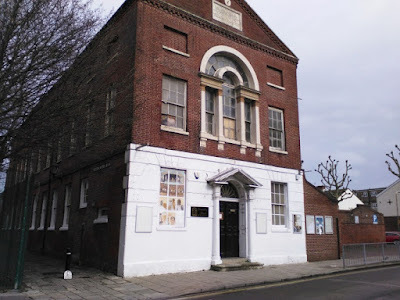 There was plenty of material for me when I went on location research at the small, unique Georgian Theatre in Portsmouth, Groundlings Theatre. 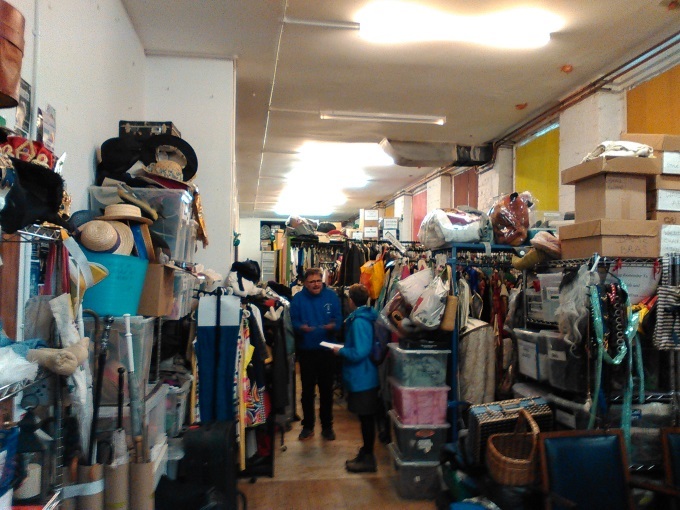 I was treated to a tour of it by Richard Stride, artistic director and owner. 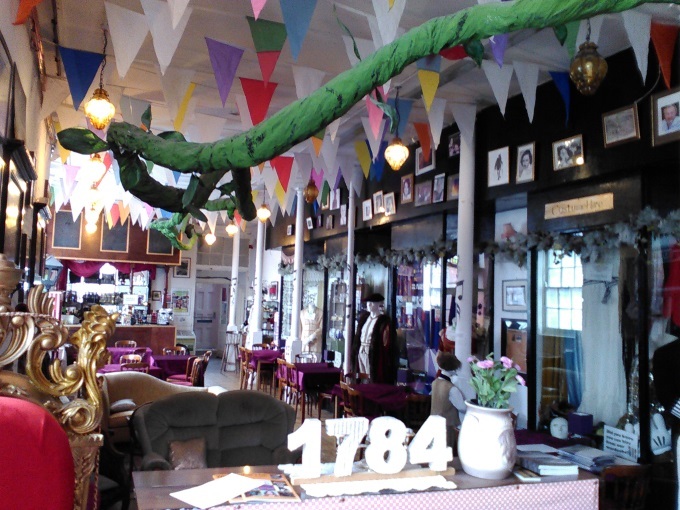 Groundlings Theatre is a Grade II * historic listed building built in 1784 in the waterfront city of Portsmouth. It is a truly atmospheric place with secret doors, hidden rooms and ten ghosts! And along with the ghosts it still has a lot of the original features such as original floorboards and fire places. It was founded by philanthropic patrons, John Shakespeare (very apt) and 5 merchants, with the aim of educating the poor (boys) downstairs, the Beneficial School, while upstairs was used by high society for meetings, concerts and theatre. Among the audience was Queen Victoria who attended performances before sailing across the Solent to her Isle of Wight holiday home at Osborn House. I hope she was amused. Charles Dickens was almost born here. In 1812, Elizabeth Dickens went into labour with Charles Dickens whilst attending a dance in the building. Perhaps it was all that whirling about that broke her waters. She managed to reach her home in Old Commercial Road where the baby was born. Could the influence of this tiny theatre have seeped through to the unborn child to help him become a great literary figure? While the gentry, merchants and high society frolicked and met upstairs, on the ground floor the barefoot impoverished boys toiled over their lessons, at one time over three hundred of them were kept in check by one teacher and woe betide them if they misbehaved. In the foyer (the old classroom) is young George who in playful high spirits took a bow and arrow to another boy as a result of which he was tied to the metal post, his trousers pulled down and was whipped, poor child. While other naughty children were hoisted up to the ceiling in a basket and left there all day to wee on other naughty children beneath them. Those who didn’t suffer these terrible fates for being naughty were put in the stocks and left there for hours. The poor little mites. But one bright boy, went on to achieve wonders. One of the school’s most famous pupils is Henry Ayres, who became Premier of South Australia and who Ayres Rock is named after. In 1837 the boys’ only school was opened to girls and a junior school was also formed in 1873, which is still in existence next door. However the girls’ school was discontinued in 1877, I’m not sure why, perhaps the powers that be thought it wasn’t worth educating them or perhaps the girls were thought to be a distraction for the boys. Or maybe they were too clever! The boys' school continued until in 1939 with the advent of the Second World War – and with the school being almost within spitting distance of the naval dockyard – it was closed. But the stories continue. It is said that a Nazi sympathizer used the roof of the school to shine a torch to direct bombers seeking to hit Portsmouth Dockyard. The school reopened after the war and was active until 1962 when the building was closed up and left to rot. Then in 2010 Richard Stride, an actor, artistic director and visionary saw it and knew that he simply had to have it. He purchased the building from Portsmouth City Council and embarked on a major restoration job with hardly a penny to his name but with great passion and enthusiasm. He appealed to locals to roll up their sleeves and help and they did. Now Groundlings Theatre runs a varied programme of plays, musicals and performances for all ages and tastes. It is buzzing with life. It has a vast wardrobe with over 11,000 costumes, props and set departments, so if you’re looking for costumes for a themed party or to put on a play this massive hidden wardrobe department has everything. It is also an ideal venue for meetings, events and quirky, and not so quirky, weddings. 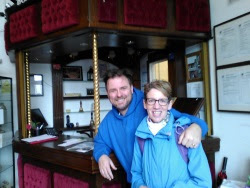 Groundlings Theatre is only partially restored because Richard Stride has ambitions. There is still so much more that can be done, for example, restoring the circle in the auditorium, refurbishing the Green Room, restoring the exterior of the building and a great deal more. All that takes time of which Richard and his volunteers – of which he can always do with more – give unstintingly. It’s money that is badly needed. So Groundlings Theatre could do with another John Shakespeare and five other wealthy and generous patrons to step forward to help turn this really remarkable Georgian theatre in Portsmouth into something even more astounding and special. In doing so they would leave behind them a legacy equal to that of their predecessors of 1784. Let’s hope they step forward.